Messaging is one of the most important aspects of modern programming techniques. Majority of today’s systems consist of several modules and external dependencies. If they weren’t able to communicate with each other in an efficient manner, they wouldn’t be very effective in carrying out their intended functions. 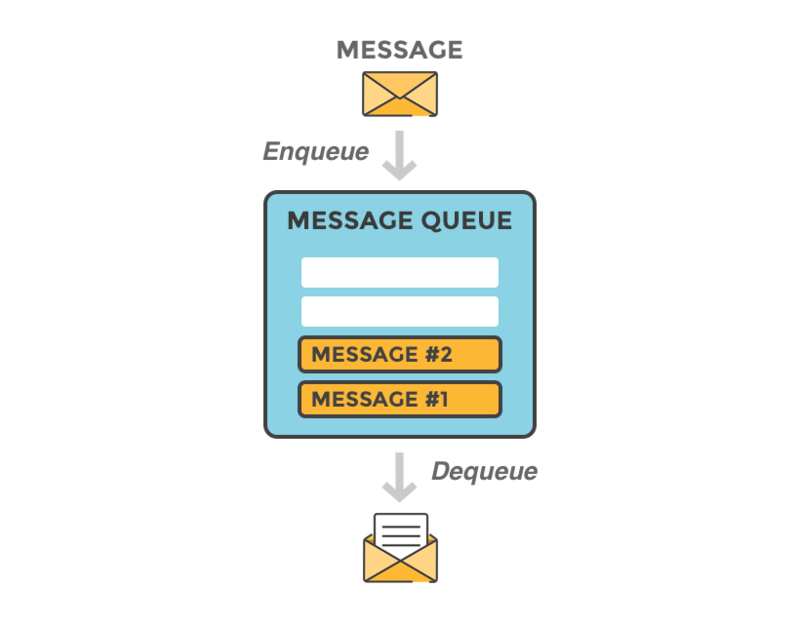 There are quite a few messaging queues available on the cloud today, some of the popular ones being Apache Kafka, RabbitMQ, Amazon SQS, Google Cloud Pub/Sub etc. There is no doubt that we need a messaging queue for several modules but which one? In this blog post, I would like to give a try on answering that question. RabbitMQ is an open source message broker software managed by Pivotal. It implements the Advanced Message Queuing Protocol (AMQP). RabbitMQ comes with a built-in management dashboard for easy configuration and monitoring of message queues. It also supports requests for message acknowledgments and is easily deployed in HA mode with minimal effort. With a message rate of about 20k+ msgs/sec which is much less than Kafka, it’s sufficient enough for most use cases. Due to its platform-independent framework and ease of use, RabbitMQ is a very mature message broker offering with a lot of extended support from the community. Apache Kafka is a message broker that was originally developed by LinkedIn before going open source under the Apache umbrella. Kafka’s main focus was speed and efficiency. It can maintain a message throughput rate of 100k+ msgs/sec which is significantly higher than most other alternatives. However, other basic features found in other brokers are eschewed in favor of efficiency. Features like message acknowledgments, routing rules, and an admin UI are not available as standard. Even though Kafka is defined as ‘stable’ and ‘production-ready’, deploying Kafka in HA mode is tougher than it is with other providers. It is highly dependent on the Zookeeper module in order to maintain synchronization between multiple Kafka nodes and client apps. Google’s Cloud Pub/Sub is a fully-managed real-time messaging service that allows you to send and receive messages between applications or server. It is developed specifically to facilitate messaging among applications deployed on the Google Compute Engine (GCE) cloud. Its basic features are very similar to that of Amazon’s SQS in that there are no infrastructure costs and you pay for what you use. The major difference from SQS is that Google charges based only on volume and not transaction speed i.e. you will not be charged extra for a sudden increase in message rate. With this data, I hope you have a clear understanding that there is no single queue which can cater to all types of needs, different queues are good at different things, you just have to pick the right one for the problem. Thanks for dropping by !!! Feel free to comment to this post or you can drop an email to naik899@gmail.com.